Art by sisters Heidi & Erika. You can make one too! 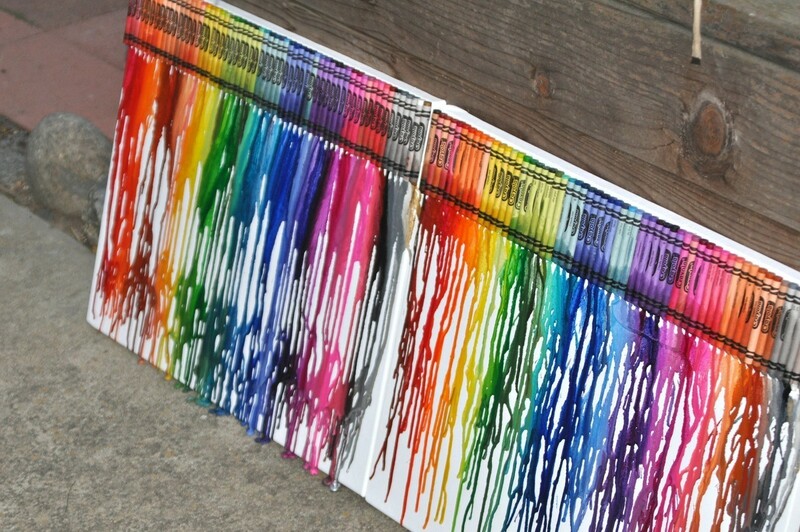 All you need is a canvas, crayons, glue, and a blow dryer or heat gun. Lots of fun and fairly simple! 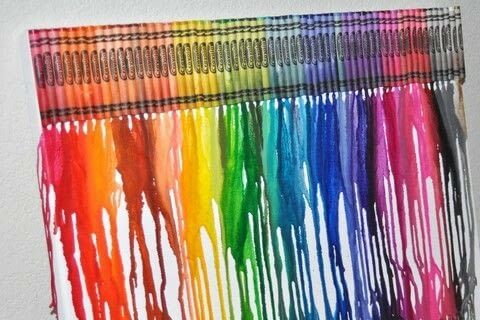 Start by gluing your choice of crayons across the top of your canvas. 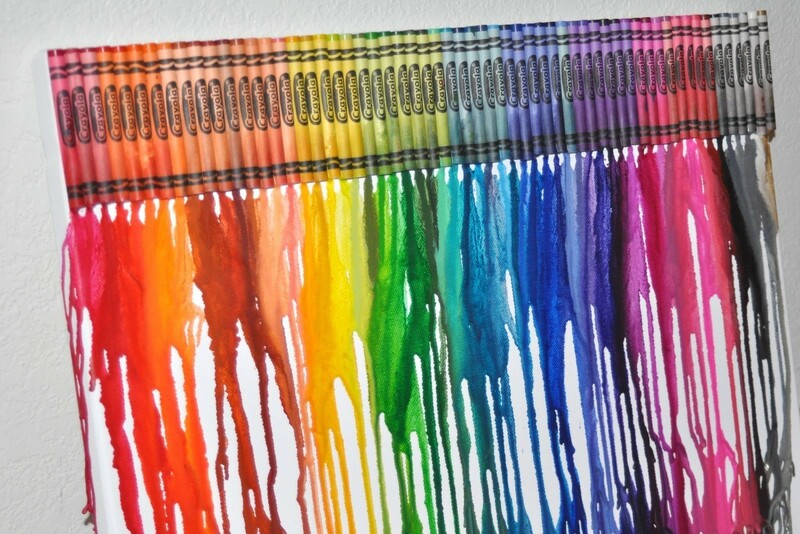 We used crayola brand for the crayons and E6000 for the glue, but hot glue would work too. 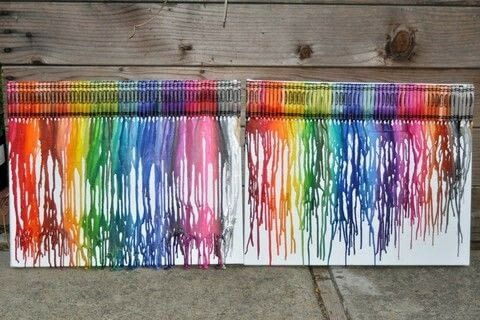 Once the glue is dry, use your heat gun to melt the crayons and let it run downwards. 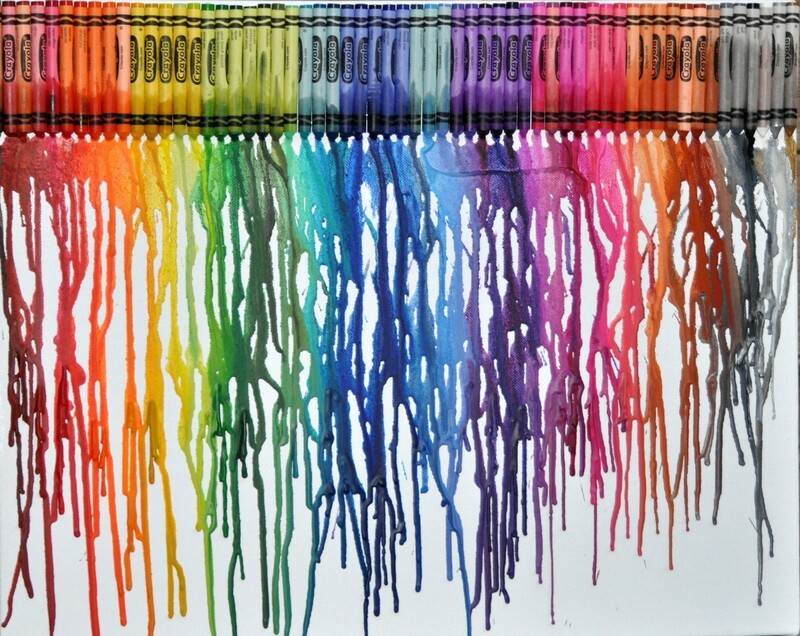 A few tips to keep in mind: The closer you hold the gun to the crayons, the more "splatter" you will get. The farther away, you'll get a slower but straighter line. 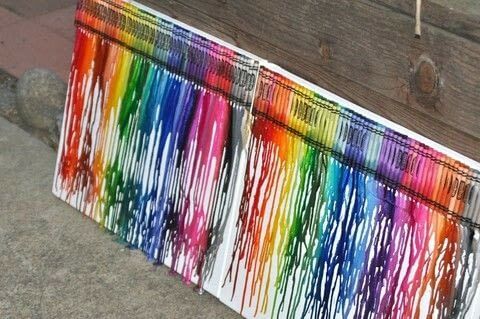 No, the wax would crack and break off with movement and it wouldn't be washable. 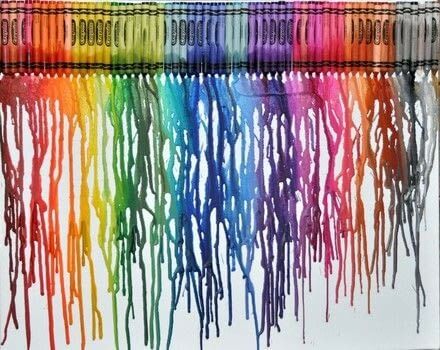 I'm sure there is some way of dripping dyes down a shirt to get the same effect, it would definitely make for an awesome T-shirt design! Can this be used on a T shirt? ?